Deadhead Rum from Mexico is an aged rum with a dark hue brimming with the aromas of coffee, chocolate, allspice, cinnamon and nutmeg - making for a rich spicy finish. These stupendous aromatics and brilliant flavours make it a great choice for use in classic Tiki cocktails. 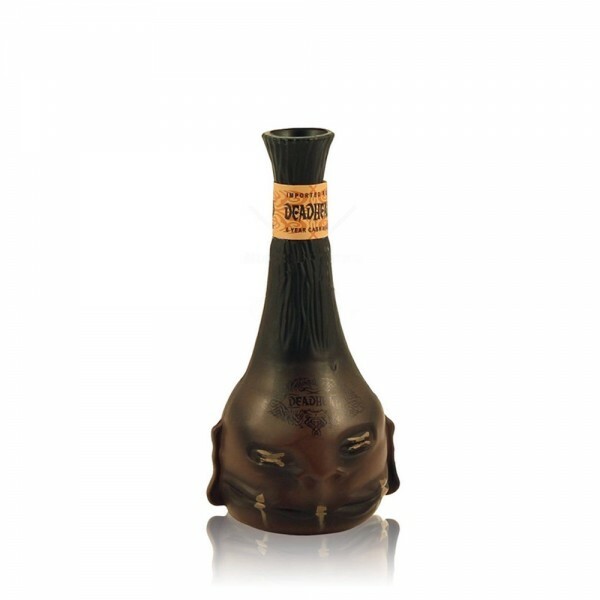 Not only is it amazing rum but the award-winning bottle is designed to resemble a tsantsa, literally the shrunken (dead) head of an enemy kept as a trophy. Makes a great gift... for the right person! Deadhead Rum is a masterful blend of distilled pure sugarcane juice aged in American oak (medium toasted) barrels, and rum distilled from rich Mexican molasses aged in two different barrels: American oak (highly toasted) and barrels made from Chiapas oak. The blended potion is then finished with a charcoal polishing. The Deadhead spirit in each bottle is a testament to the expert care and artistry of premium rum making.